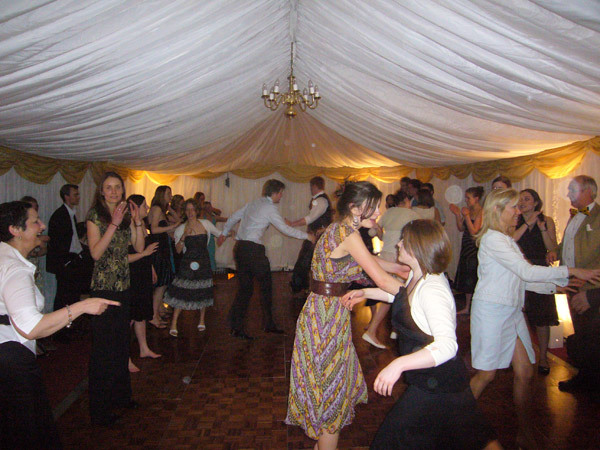 There's no such thing as a standard booking as every Angels Ceilidh is custom-designed for you. We hope that these notes will help you plan. When you book the band, we are yours for the evening. 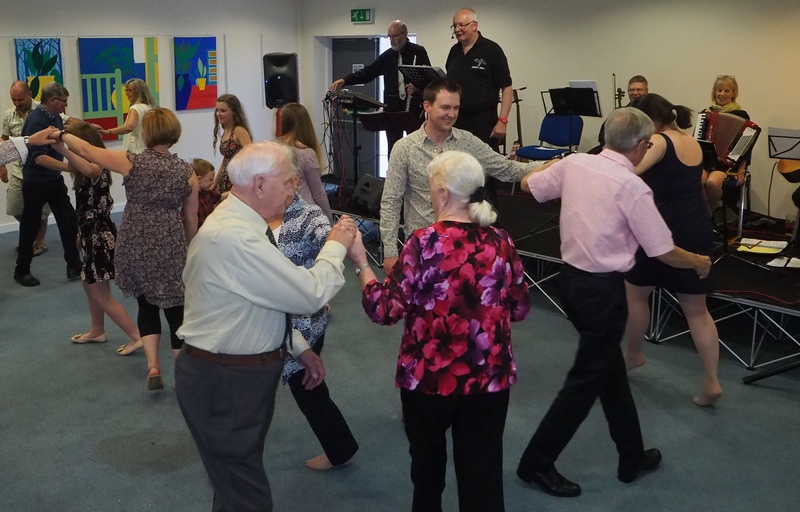 We supply an experienced caller to explain the dances and have our own PA. All you need to provide is a venue with a power socket nearby and some guests to dance. Generally we present the dances in pairs framed by listening pieces or songs to give the dancers a bit of a rest. 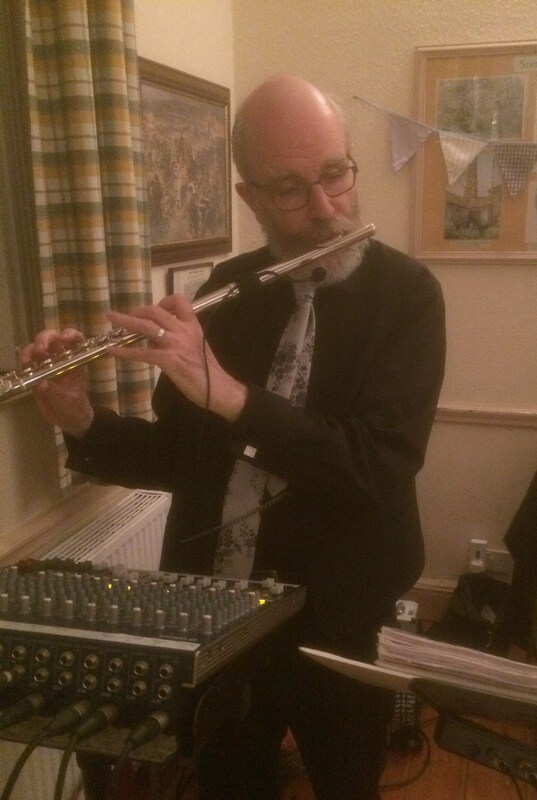 Typically we would play two 90 minute sets with a 30 minute supper break in between but we can stretch or compress sets to meet your timings. We will gladly lend you a microphone for announcements or short speeches and can play your own music from any iPod-like device with a headphone output. 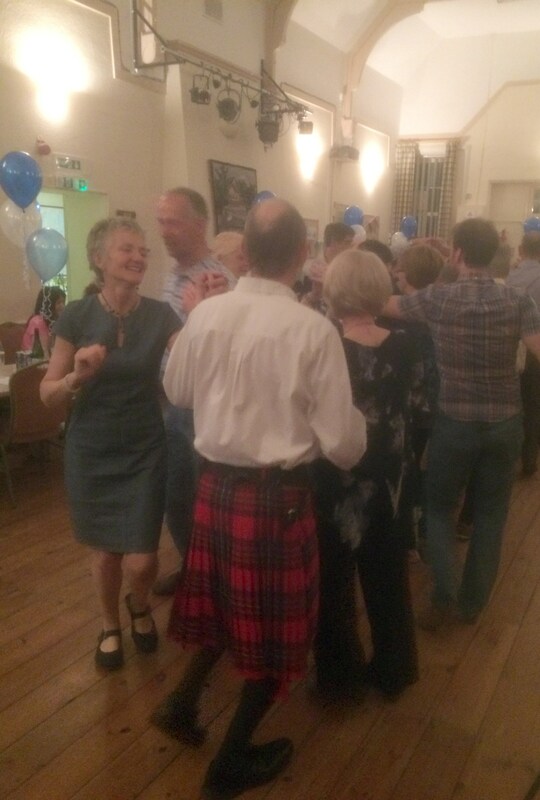 If the ceilidh runs too late, we find the dancers drift away to relieve babysitters. It’s best if the evening ends at a fixed time with a good crowd. Typically the last dance would end at 23:00. We need 60 minutes to set up a further 30 minutes at the end pack everything away. Everybody we have spoken to has said how much they enjoyed the music and the dancing, especially the children. All went home happy and tired! You all did an amazing job to include all the children so well. I'm sure it must of been hard work and we really appreciate it. The dances were pitched just right.